Curtis Collins “substantially damaged” his car which also sustained three punctures during the hot pursuit in the town late on December 27. 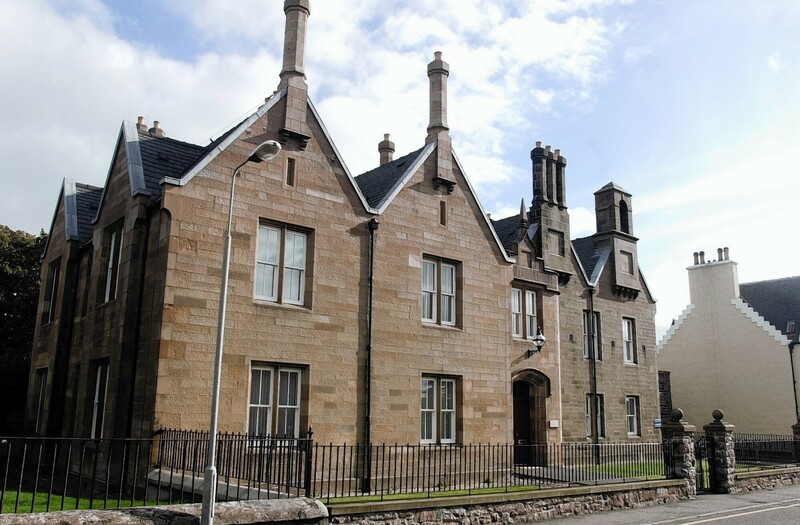 Collins, from Newmarket, Lewis, admitted dangerous driving and failing to stop for police when he appeared at Stornoway Sheriff Court yesterday. Procurator fiscal David Morton said officers in a patrol car spotted the teen’s vehicle accelerating in a “harsh and aggressive” manner on Bell’s Road after 11pm that night. Police switched on their blue flashing lights but Collins ignored an order to stop and simply carried on. They pursued Collins who drove “more aggressively” around Stornoway, failing to give way at junctions. He sped through a red light on Matheson Road and the opposite way around a roundabout on Goathill Crescent. The chase continued as he went the wrong direction down a one-way street at Willowglen. There, he headed into the path of an oncoming vehicle but “thankfully, a collision was avoided,” remarked the fiscal. Ignoring a “no entry” sign at Canada Crescent, he lost control and his car mounted a pavement, smashing into a shopping trolley and causing pedestrians to take action to avoid being hit. Then the teenager jumped out and vehicle and fled, leaving behind a distressed front seat passenger who was in “total shock,” said the fiscal. Lawyer David Teale explained his client “panicked for no good reason “ when he saw the blue lights. He handed himself in to police within a couple of hours, he added. There is little chance of a repeat performance as Collins’ present job means he has “little time for gallivanting” and the car is going to be sold. Sheriff David Sutherland imposed a £800 fine and banned Collins from getting behind the wheel for 16 months and until he passes the extended driving test.